From large kitchens where big families gather to cozy kitchen nooks where simple meals are created, a kitchen holds a special place in every home. 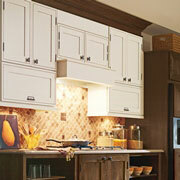 If you are working on a kitchen remodel, stop by ProSource® of Albuquerque. We specialize in with kitchen improvement projects. We can help you design a stunning kitchen—all with wholesale pricing on trusted brands. Whether you need to design a tile backsplash, locate the perfect sink, or redesign a kitchen from floor to ceiling, we have you covered. When there isn’t enough space to stay organized, a kitchen will quickly become a cluttered mess. Find the right cabinet design, and take advantage of our expert kitchen design team, at ProSource. Shop top brands with a variety of material choices, and see how they can look in a home with several vignettes on display. When you are designing a sleek and modern kitchen, a simple silver handle may do. When you want a more elegant and stunning look, ornate knobs may be key. 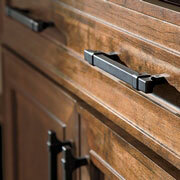 Shop our array of cabinet hardware and put the finishing touches on your kitchen masterpiece. Countertops undergo a large amount of wear and tear. 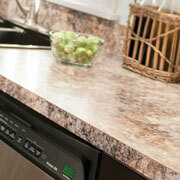 That is why we provide high-quality materials for countertop overhauls. From classic granite to luxury marble, we have the right countertop to match any design. For busy cooks, a larger kitchen sink may be an important component to a kitchen remodel. For others, an updated look with a simple basin may be enough. 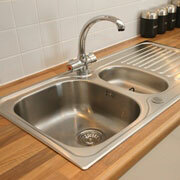 Either way, our team will guide you through our vast choices in kitchen sinks. The right kitchen faucet should provide the exact functionality desired while still enhancing the overall design of a kitchen. 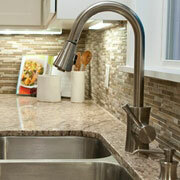 Select from single faucets to retractable sprayers to hot water taps and more at ProSource of Albuquerque. We proudly serve Rio Rancho, Verna Leo, Los Lunas, Belen, and Albuquerque, New Mexico. The ProSource of Albuquerque showroom is conveniently located in Albuquerque, New Mexico and serves all of the neighboring cities including Algodones, Belen, Bernalillo, Bosque, Cedar Crest, Cerrillos, Edgewood, Isleta, Jarales, La Joya, Los Lunas, Pena Blanca, Peralta, Placitas, Sandia Park, Corrales, Santo Domingo Pueblo, Tijeras, Tome, Veguita, Bosque Farms, Cochiti Pueblo, Cochiti Lake, Kirtland AFB, Rio Rancho, Santa Fe, Glorieta and Tesuque.